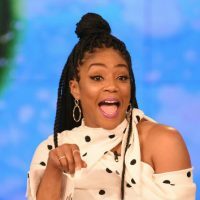 ABC/Paula Lobo(LOS ANGELES) — Mo’Nique is offering her fellow comedian Tiffany Haddish some important advice after Haddish’s New Year’s Eve comedy set bombed. In an interview with Page Six, Mo’Nique says Haddish shouldn’t let one rough night affect her future in stand-up. In fact, the Oscar-winning actress says fans shouldn’t be ready to dismiss the Girls Trip actress so quickly. As previously reported, Tiffany attributed her lackluster show to partying too hard the night before. Meanwhile, Mo’Nique will make her Las Vegas debut at the The Sayers Club at SLS Las Vegas on Friday. In her chat with Page Six, Mo shared her own approach to stand-up.